Use this website to quickly find the most important information about the main airport in Austin, called Austin-Bergstrom International Airport: Departures, Arrivals, Parking, Car Rentals, Hotels near the airport and other information about Austin airport. Plan your travel to AUS Airport with the information provided in this site. Austin Airport, known officially as Austin-Bergstrom International Airport (IATA: AUS, ICAO: KAUS, FAA LID: AUS) is located about 5 miles (8 km) southeast of downtown Austin, in the state of Texas in the United States of America. 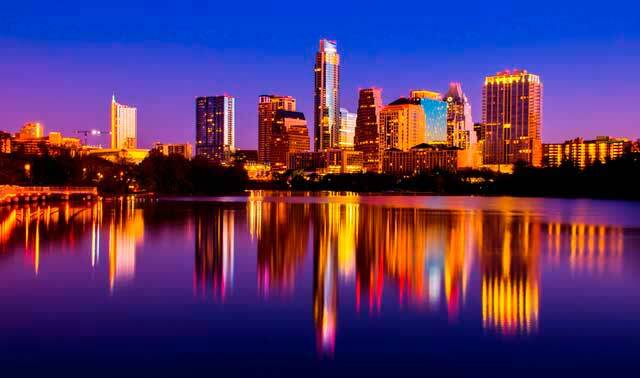 Austin Airport (AUS) serves the greater metropolitan area of Austin - It’s the 31st largest metropolitan area in USA. 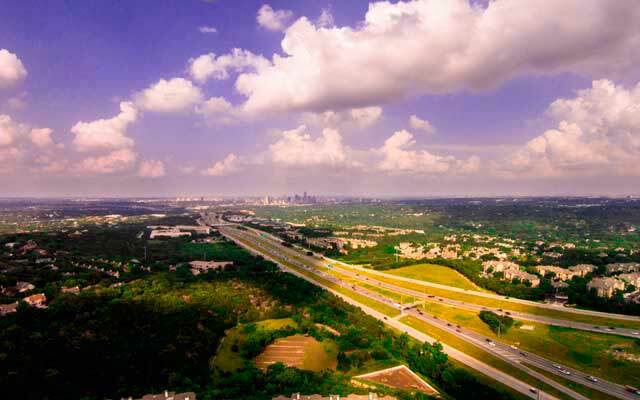 Austin airport is located about 5 miles (8 km) from downtown Austin, in Texas, USA. In 2017 more than 13M passengers traveled to and from Austin Airport. Austin Airport is the 34th busiest airport in number of passengers in USA. There’s no rail or metro to travel to or from the airport. The highway is one of the best options. You can rent a car, limousine, travel by taxi or by bus. The airport is named after Captain John August Earl Bergstrom. 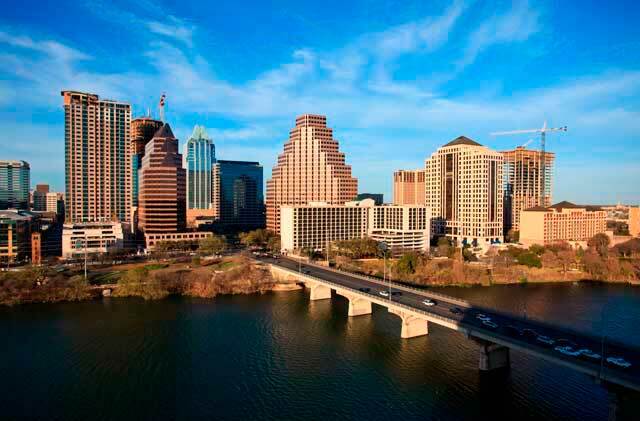 Austin Airport serves the greater Austin metropolitan area - The 31st largest metropolitan area in the USA. AUS Airport is catalogued as Class C international airport and is the 34th busiest airport in the US. It serves daily departures to 76 destinations within the country as well as to Mexico, Canada, the Caribbean and Europe. 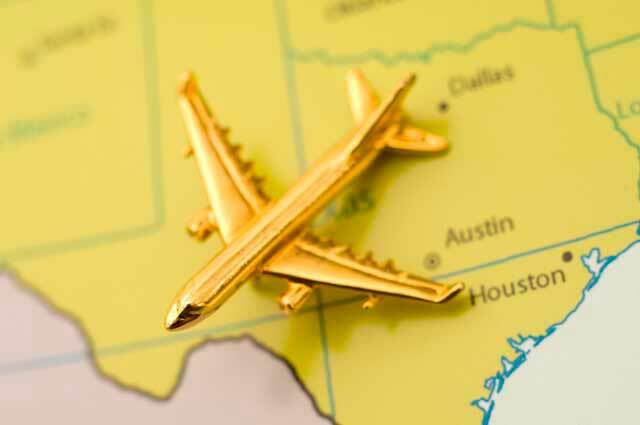 Top 5 destinations from Austin Airport are US airports/cities: Dallas, Atlanta, Denver, Los Angeles and Houston. It has a transatlantic service to Europe operated by British Airways to London Heathrow Airport. In 2017 more than 13M passengers traveled to and from Austin–Bergstrom International Airport, being the 34th busiest airport in number of passengers in USA. Austin Airport consists of two passengers terminals: The Barbara Jordan Terminal and the South Terminal. It has 25 gates, 2 of them for international arrivals. The terminal also has a live music stage following the spirit of Austin's proclamation as "The Live Music Capital of the World”. The terminal connects with a parking garage with 3000 places. It was renovated in 2017 and Frontier Airlines and Allegiant Air had relocated their operations in this terminal. Shopping and dining: Austin has some of the best Tex-Mex and barbecue restaurants. There are also Vending Machines with snacks and drinks 24/7 through the airport. See more Services here. Passengers can also enjoy the art in the airport with the different exhibitions and architectural installations that there are through the airport. In the exhibitions are displayed different and unique creations made by national and local artists from the region. 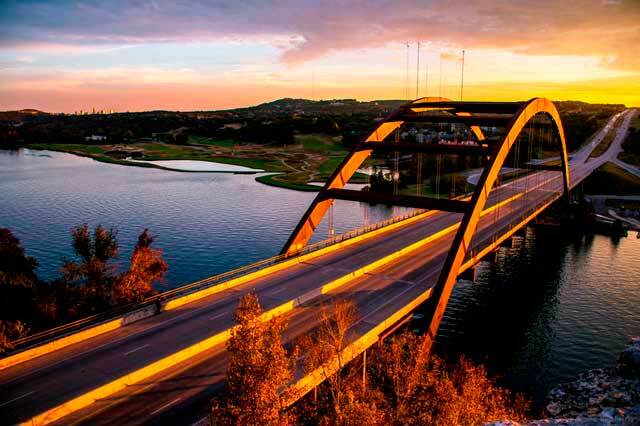 - Car Rental: From the Austin Airport there’s no rail nor metro to get to the city center. One good option is to rent a car (click here). To rent a limousine, you might contact with the company. Rent your car through our online search engine. - Shuttle: SuperShuttle company provides service at AUS Airport. Address: Austin-Bergstrom International Airport, 3600 Presidential Blvd., Austin, TX 78719, USA. The department is located at the west end of baggage claim. Leave a message with your phone and a description of the lost item. TSA Lost and Found 512-386-2015 (8a.m.-5p.m.). Closed on weekends. Items left on the airplane:Please, contact with your airline.